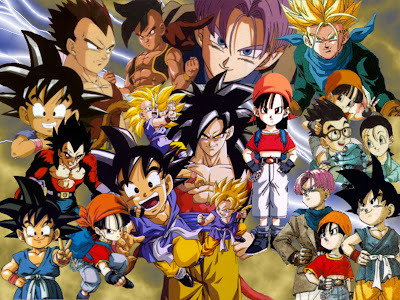 Time for a look at the Dragonball Z movie series... and by that, I mean the 13 movies that seemed to, weirdly enough, take place concurrently to the series without being a part of the series. Things happen in these movies that are never referenced in the series and aren't actually possible within the series timeline (with a couple of exceptions). They're still a potentially fun watch, however. For this look at the DBZ movies I'll be joined by longtime buddy and frequent commenter Brayniac, who will bring an older perspective to the proceedings to counteract my childish rantings. We'll be grading each movie on a scale of 1 to 10 Raditz, with 10 Raditz being the best a DBZ movie can be (but as fans of DBZ Abridged know, it's still inferior to Vegeta). Keep in mind that this isn't my normal ratings scale. A 10 here doesn't equal a normal Perfect 10. It just means it's a 10...for a DBZ movie. As good as it can be expected to be. I recently finished watching the entire series... all 64 episodes of it. As a fan of the awesome Dragonball Z, I wanted to check out the "sequel" that got so critically panned by Everyone Who Ever Watched It. I did, with an open mind and a legitimate desire to enjoy it. The show made it pretty difficult for me, though. Here are some of my thoughts as I went along, mostly stream-of-consciousness. Tons of spoilers, if that matters. I don't know if you've heard, but Donkey Kong Country has returned. 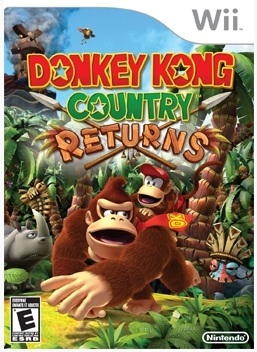 Developed by Retro Studios, Donkey Kong Country Returns is Nintendo's attempt to re-ignite one of their signature franchises from the 90's. Similarly to Metroid: Other M, this game is a follow-up of sorts to the SNES age. So does it recapture the magic of the DKC series, or is it a mediocre game where Donkey Kong doesn't jump until he's given the okay from his commanding officer? Find out inside. Also, there will be naked Candy Kong. That'll bring in the ratings!